Anyone trying to lose weight knows it’s all about burning off the unhealthy excess fat. But it turns out that not all fat is created equal—and not all people who need to lose fat even know about it. To get the low-down on which type of fat you need to lose—and what you need to eat to get there—we spoke to Manuel Villacorta, MS, RD, CSSD, one of the leading nutritionists in the San Francisco Bay Area, and founder of the interactive weight-management web site Nutrition for You. Villacorta makes a clear distinction between two kinds of fat: subcutaneous fat, which is stored between skin and muscle; and visceral fat, which accumulates around organs, especially the liver. Visceral fat, which cannot even be accessed by liposuction, is significantly more dangerous than subcutaneous fat. 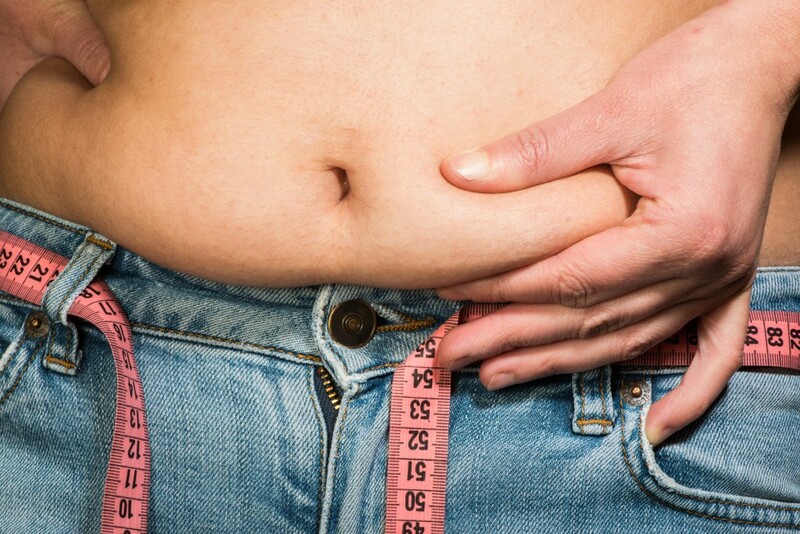 What makes visceral fat so dangerous? The visceral fat cells literally function differently than subcutaneous fat cells. “In comparison to visceral cells, subcutaneous cells are greater in number,” Villacorta says. “But the visceral cells are actually larger in size per cell. And they get to be so big that they atrophy themselves—at which point they constantly, 24/7, produce cytokines.” Cytokines are a hormone with known inflammatory properties. “They promote atherosclerosis, tumor growth, aging, oxidation, hypertension, and cardiovascular disease.” That’s quite a laundry list of bad things! So, how much fat is too much? After all, you need some degree of visceral fat to cushion your organs. But many of us have too much of it. Men are considered high risk if they have a waistline of 40 inches or greater, Villacorta says; women are in this category with a waistline of 35 inches. But once you hit that limit it’s already too late—you’re in a perpetually inflamed state. So Villacorta counsels taking preventive action sooner, at a waistline of 37 or 38 for men. “Ten pounds is two inches,” Villacorta points out, “and people can gain 10 pounds without even noticing; people average a 15-pound gain over the holidays and take a year to lose it just to gain it back again—so if you’re at 37 or 38, you’re not high risk, but you are in range.” If your waistline is bigger than 40 inches, you should consider taking action immediately. It’s critical that you measure your waist properly to find out where you stand. To measure your waist, use a seamstress tape measure straight around yourself one inch below your belly-button. Your actual waistline is not where the waistband of your pants rests—it is generally lower than that (unless you wear your pants like Britney Spears, in which case it’s higher). Below, find Villacorta’s seven must-do dietary tips to reduce visceral fats—and take anti-inflammatory action. Eat Your Greens (and Blues… and Reds…): Eat a diet high in fruits and vegetables—to the tune of seven to nine servings per day for men. But pay attention to the color of your fruits and veggies. Pigment is a vital chemical in plants; it forms, Villacorta says, “the plant’s immune system; and the different colors have different health benefits.” So eat a variety, from berries to orange and yellow veggies to dark leafy greens. Berries are among the best things you can eat—packed with antioxidants, blueberries and strawberries are particularly great choices. Go Omega: Eat more omega-3 fatty acids. These are essential fatty acids, and powerful anti-inflammatory agents. The best way to get your Omega-3 intake is to eat three or four ounces of fish like salmon or trout two times per week. Other great sources include flax seeds, walnuts, and soybeans. One crucial tip: Flax seeds need to be ground or your body can’t digest them, so don’t just throw them into your cereal. Instead, grind them up (a coffee grinder is great for this). Add Some Spice (and Other Antioxidants): Eat antioxidant rich foods. Many spices, such as oregano, cinnamon, turmeric, and ginger, are rich in antioxidants. Stay away from processed soy—eat tofu or less processed soy. Drink green tea. And treat yourself to some dark chocolate, as long as it’s at least 70 percent cacao. Red wine is also seriously good for you—in moderation. Drink Less Booze: Practice moderation with alcohol intake, as alcohol is highly caloric and leads to fat gain. The American Heart Association recommends a maximum of two servings of alcohol per day—but a serving in AHA’s eyes is just four ounces of wine. By comparison, a restaurant pour of wine is six ounces, and at home it’s typically six or eight ounces, so you really need to watch your serving sizes. Likewise, an AHA allowed serving of beer is 12 ounces, and for hard liquor a mere 1.5 ounces. Q: Nothing is stopping me except the lack of a workable plan of action, which I am in the process of putting on paper. There is a question that I've wanted to ask you for a while. Do you have or can you put together a sample daily menu of food choices based on what you eat, or what your research has shown to be good? I do have a couple of conditions I want to cure.... I have arthritis in my neck and upper back caused by a whip lash, and I have high blood pressure that I take medication to control. I read the article about controlling disease, and I am interested in curing these conditions. I have started an exercise regimen, and need a diet plan to go along with it. I want to lose weight as part of my healing. A: You may want to start with the Full Body Cleanse to begin your healing. In regards to a dietplan, check out the Alternative Diet and Lifestyle Manual. This manual has a lot of suggesstions and recommendations for a vegan-based, raw foods diet that you will want to accompany your cleanse. When performing the cleanse, following the guidelines of this diet is integral in achieving the results you desire.